Abandoned washing machine, reconditioned and returned to where it was found. 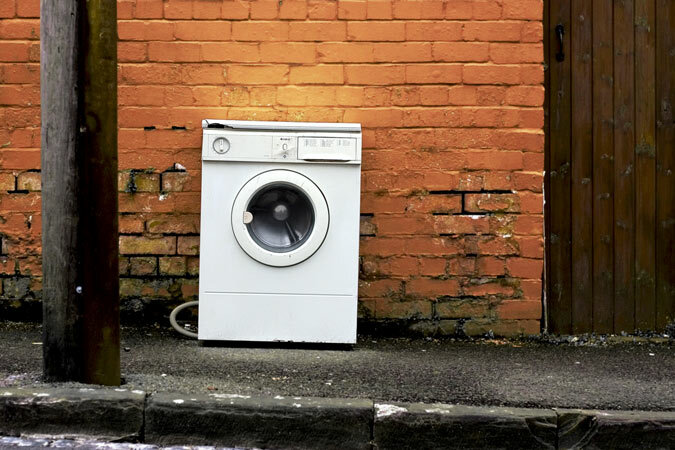 The largest return undertaken to date, this washing machine was found left out on the pavement near my old studio. Seizing an opportunity to be helpful I loaded it into the van and drove to a local repair shop for it to be reconditioned. A week later and a sizeable wedge down, I returned to the same place and dropped it off exactly where I had found it. For several days after I drove along that same road and it was still to be found there. By the following week it had gone. It's not known if it was picked up for scrap or made its way back into working life.